• Do you want to lose weight and build muscle eating delicious, protein packed, satiating and satisfying meals? • Do you struggle to get sufficient protein without excessive calorie and carbohydrate intake? • Are you unsure what protein sources are the best for building muscle on a vegan diet? • Are you sick of eating plain tofu, beans and rice? Would you like to replace all the boring food you eat by delicious protein bread, protein pizza, protein doughnuts, super high protein vegan burgers and sausages, protein cakes and cupcakes? • Are you sick of spending lots of money for expensive vegan meats? • Do you feel like vegan low calorie chocololate and healthy, low calorie 'nutella' would bring back meaning into your life? If so, this cookbook is exactly for YOU! In this book, I present to you some of my favorite recipes I used during my competition preparation diet for my bodybuilding competition. My goal was to lose fat while building muscle. For this reason, the recipes are low in calories, carbohydrates and fat, which is necessary for fat loss, and high in protein, which is necessary for muscle gains. I dieted for more than 6 months, lost more than 16 kg (35 lbs) and still increased strength on some of the exercises I did in the gym. The most important thing is that my diet did not feel like torture. It felt more like a lifestyle I could sustain for a very long time, because I ate foods that I truly enjoyed and that fueled my body and gave it what it needed. 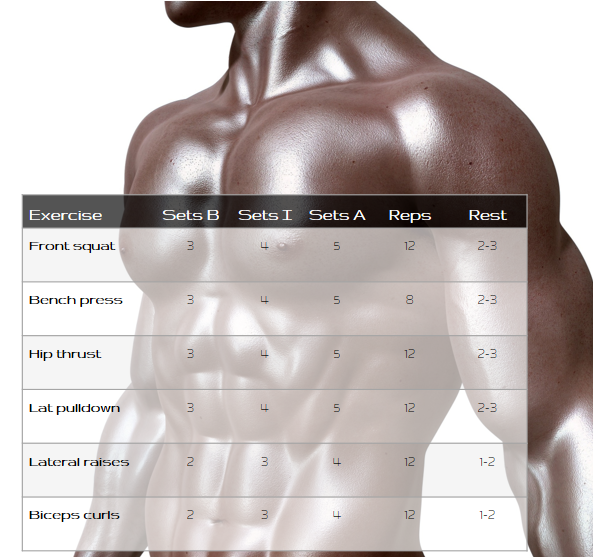 As I am scientist (I have BSc in chemistry, MSc in chemistry for biological sciences and PhD in biochemistry), I was not only able to develop low calorie foods with a great taste and texture by applying the knowledge I learned in my chemistry degree, but was also able to optimize the amino acid composition of the protein contained in the dishes to optimize my muscle gains. But that's not all! You're getting this great BONUS with this cookbook: Easy 3-Step Fat Loss Plan! This plan will give you simple instruction how to put your healthy, delicious, protein-packed meals together that will help you to lose weight and gain muscle at the same time. Do you numb negative emotions with food and use food to escape from reality? Do you eat to relax? To switch off the mind when you are tired? Do you overeat because of the people around you? Because of the social pressure? Are you stuck in a vicious cycle of unhealthy eating and overeating? If so, this book is exactly for YOU! The most important thing for me was to not only tell you nice stories and give you explanations as to why we behave in certain ways, but also to provide you with useful tips and tools to apply every day, allowing you to leave unnecessary eating and overeating in the past. Most chapters contain practical tips at the end that will make it easier for you to apply what you have learned in the chapter instantly and see results faster. Are you confused about what macronutrients you should be following? Do you find yourself struggling with knowing how to fit them in? Would it not be great to have the best of both worlds; maintain a deficit for weight loss but still enjoy the foods you love? You get 35 recipes for delicious treats, including high-protein cakes, pancakes, creams, low-calorie ice creams, fluffs, jellies and much more. Some of the recipes actually have zero calories! With these recipes you can truly enjoy your diet while losing fat. But that's not all! You're getting this great BONUS with the Guilt-Free Dessert Recipe book! 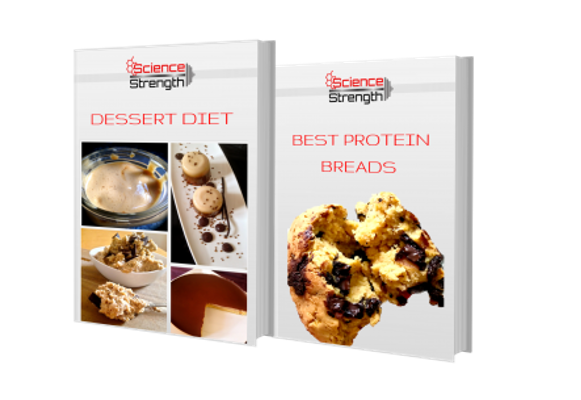 BONUS: A recipe book with 7 of my absolutely favourite Protein Bread Recipes, that are highly satiating, satisfying and have amazing macros! All bread recipes contain between 12-34 g carbs and 25-35 g protein per serving!